So as Michal said it is difficult for us with networking because we have to do a networking for the whole building. The networking is actually easy. But it is difficult to find a partner that would have the same departments or stand for such a multi-genre dramaturgical line as we do. So as Michal outlined we have some partners that collaborate with the whole building. And we were just currently also asking for a grant with Rote Fabrik in Zurich that stands on similar idea and has similar departments let’s say. But then each department basically apart from these ECAS network is dealing with their own partners. So this was maybe more for the whole building and for music. On the other hand we for the residency department we have become a partner of ResArtis six months ago. It was a natural step because we are the largest artists in residence programme in Czech republic running for several years. And we want to move a little forward also with the PR and to get a stronger international let’s say viewers or spectatorship or just to get people know about us. And it is also interesting to exchange experience with people that are dealing with the same problems as you that are dealing with cultural mobilities, etc. This is very important and crucial for the residency programme. On the other hand the residency programme has been always very strong with partnerships, whether it was partnerships that were financial or it is partnerships that are let’s say important to us on artistic level. We are currently working with Center for Contemporary Arts in Strasburg. We are working with several institutions from abroad where we have either the exchange residencies or they are being the advisory board for artists in residence that would come to the Meet Factory such as EFA Project Space New York, Kunstlerhaus Bethanien in Berlin which are really these recommendation boards, where they try to recommend the artist that might be interesting for Meet Factory. And then also we have financial partners. Sometimes the two are overlapping let’s say with the Mondriaan Funds. They are the recommendation board or advisory board but on the other hand they are also giving us funding to realize our programmes and to accommodate the artists. Then we only have financial partners that are supporting us with what we do. For example the Czech-German Fund for the Future. And we are also in very good touch and we do close collaboration with Goethe Institute, Polish Institute, American Embassy, Dutch Embassy, etc. The same thing is basically happening with the gallery. We are kindly developing some projects with the Embassy of Israel, etc. And as for networking within the country, I think, that might be very interesting to take it from the viewpoint of the theatre because they are strongly connected to what is happening in the whole theatre scene. So the director of the theatre department is very well connected to institutions and theatres especially in V4 region but also with some partners that are living in Czech republic. 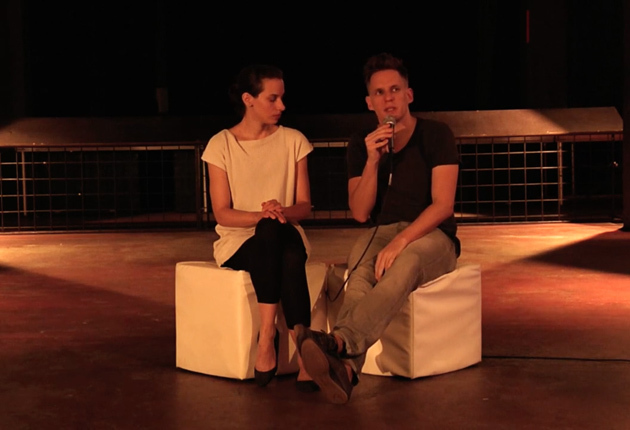 Michal Brenner is in charge of Music Department, Zuzana Jakalova is in charge of Artist in Residence Department at Meet factory in Prague, Czech Republic.